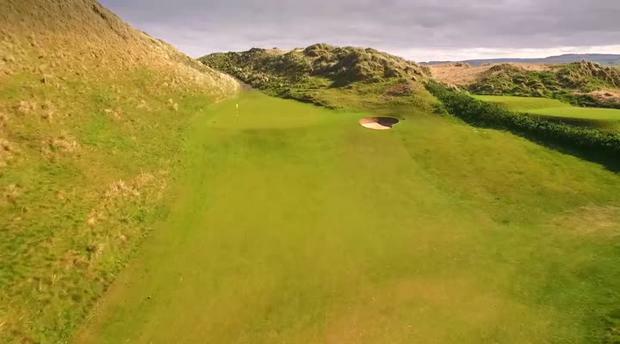 The Dubai Duty Free Irish Open tees off tomorrow and ahead of the big event, here is a hole by hole preview comprised entirely of drone footage. Portstewart is the venue for this year's tournament, with Rory McIlroy looking to defend the title he won at the K Club last year. McIlroy leads an impressive field, with world number two Hideki Matsuyama and world number 11 Jon Rahm playing with the Northern Irishman for the opening two rounds.